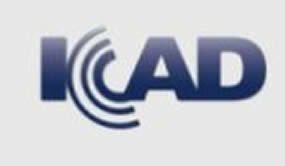 Preliminary Announcement and Call for Participation – ICAD 2012 :: The 18th International Conference on Auditory Display (ICAD2012) will be held June 18-22, 2012, at the Georgia Institute of Technology in the heart of midtown Atlanta, Georgia. The event will mark the 20th anniversary of the 1st International Conference on Auditory Display. Since 1992, ICAD has been the premier international venue for the dissemination and discussion of work related to the science, art, and practice of sound as a communicative display. Through its active Sonification Lab and Center for Music Technology, Georgia Tech is pleased to host ICAD’s vibrant community of researchers and practitioners on its campus. The primary conference venue will be the historic Academy of Medicine at Georgia Tech (). The facility is on the U.S. National Register of Historic Places and is currently in the final weeks of a detailed restoration. The Academy’s theater — the primary lecture hall for ICAD 2012 — has been renovated with particular attention to acoustics and aesthetics. Special social events for the week will include a concert, a banquet, and a welcome reception. A variety of other informal social gatherings and excursions in the midtown and downtown Atlanta (and surrounding) areas will be available. The organizing committee seeks proposals for workshops, tutorials, and panel discussions. Workshops and special sessions will be held June 17, 2012. Please send brief (1 page) proposals for workshops to the General Chair, Bruce Walker (bruce.walker@psych.gatech.edu) by November 15, 2011. Proposals should include the name(s) and full contact information for the panel chair (or co-chairs), a brief overview of the content of the proposed session, an estimated number of participants, and a list of relevant logistical needs for conducting the session (e.g., requirements for computer or audio equipment, etc.). Papers. Full papers should describe work that offers a substantial contribution to the field of auditory display. Paper submissions will be 6-8 pages in length, including all figures and references. Authors of accepted papers will be invited to give a 20 min oral presentation of their work, and at least one author must present the work at the conference for the paper to appear in the published proceedings. Posters and demonstrations. Poster submissions should describe both finished work and work in late stages of progress. Work that is complete enough that meaningful conclusions can be drawn at the time of submission are encouraged. Submissions describing demonstrations should include interactive audio experiences that showcase work for which first-hand experience will be informative. Submission for posters and demonstrations require a proceedings paper of up to 4 pages in length. Authors of accepted submissions will be invited to participate in a 60 minute poster and/or demonstration session, and at least one author must present the work at the conference for the paper to appear in the published proceedings. When weighing the decision to submit to poster and demonstration sessions, we encourage authors to consider their work in relation to the potential positive benefits (both to authors and their audiences) afforded by the personal interactions that occur in this type of session. Extended abstracts. The extended abstracts submission category is new for ICAD 2012. These submissions should include but are not limited to late-breaking results, works in early stages of progress, novel methodologies, unique or controversial theoretical positions, and discussions of unsuccessful research or null findings. Particular attention will be paid to the potential for extended abstracts to lead to engaging presentations of broad benefit to the auditory display community. Submissions for extended abstracts require a proceedings paper of up to 2 pages in length. Authors of accepted abstracts will be invited to give a 10 min oral presentation of their work, and at least one author must present the work at the conference for the abstract to appear in the published proceedings. Sonification contest submissions. Composers, sound artists, and sonification researchers are invited to create sonifications of a specific data set (to be announced soon) for the ICAD 2012 sonification competition. Submissions must include an audio recording of the sonification as well as a 2-4 page statement describing the techniques used to create the sonification and the motivations behind them. A jury including members from both artistic and scientific backgrounds will select finalists to be featured during ICAD 2012, and the winner will be announced during the conference. Doctoral Thinktank Consortium submissions. A consortium for graduate students will be held concurrently with workshops, tutorials, and panels on June 17, 2012. Details will follow. The deadline for submission of papers and posters will be on or around February 3, 2012, and other deadlines will follow. A full call for papers with detailed formatting and submission procedures, final deadlines, and links to the conference website will be forthcoming. All submissions will be peer-reviewed by a panel comprised of experts in the field of auditory display. The organizing committee seeks the service and expertise of auditory display researchers, practitioners, and artists. If you are interested in serving as peer-reviewer for submissions, please contact the Program Chair, Michael Nees (neesm@lafayette.edu). The conference website will be hosted at http://icad2012.icad.org. Please note that the site is currently under construction and will be available with full functionality in late October, 2011.